At Motta's Pastry and Bake Shop, we make Italian cookies that are mouthwateringly delicious! They are perfect for any occasion such as a celebration or a party with family and friends. Our cookies are hand pressed daily with elegance, design and love. Our almond cookies are a northeast standout and beyond hand spun and pressed to impress our customers. You can taste the authenticity and love with every bite to comfort you until you eat another. The flavor is unparalleled! All of our Pastry and Bake Shop cookies are authentic and prepared with the finest ingredients. We offer over 40 varieties of cookies to suit any taste. Motta's cookie platters come in sizes ranging from 3 to ten pound trays and make a beautiful surprise. Our traditional Almond paste cookies (Amaretti) are a sure treat topped with cherries, such as the Ricci (pictured to the right) sliced almonds, plain powdered and cinnamon sugar. The almond cookie is distinguished by its soft and chewy texture and rich almond flavor. We also offer an almond horn. We start by making our almond paste dough and roll in sliced almonds. Once baked, we finish it by hand dipping it in chocolate fudge. For our butter cookie lovers try our Russian Tea Cakes, a wonderful, tasty butter and powdered sugar cookie filled with dates and walnuts. 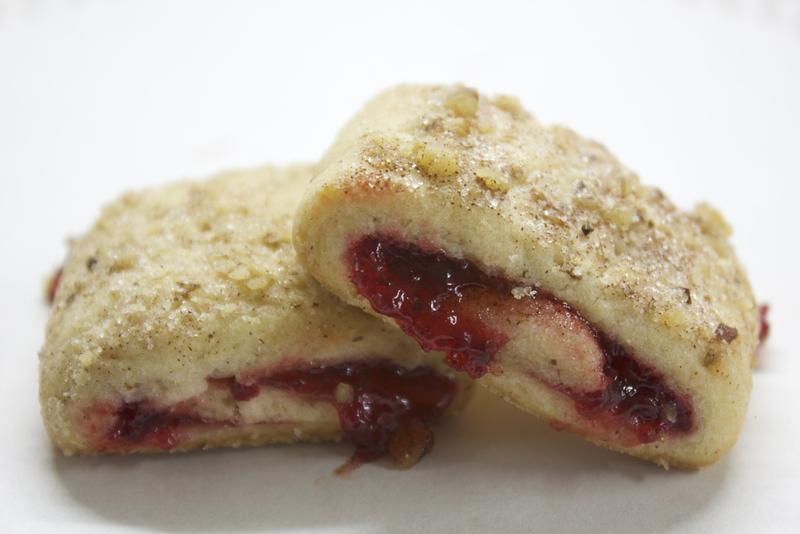 Our Raspberry Thumbprint, a shortbread cookie with roasted pecans, topped with raspberry, simply melts in your mouth. These treats make a delicious gift for any occasion. Rugala (pictured below) is a moist, classic Italian cookie filled with raspberry and topped with cinnamon and sugar. The authenticity of this cookie is rivaled only by our passion to make them. We believe that you will be hard pressed to find one as good as Motta's! Canali, an Italian mandarin butter cookie, is characterized by its unique apricot and orange flavors and colorful chopped peanuts. Lady fingers, an Italian butter cookie with almond essence, filled with apricot, make a wonderful dessert. Our Lady Fingers will make your Tiramisu really stand out! Our Chocolate Kiss cookie, a shortbread cookie with fine roasted almonds, kissed with a dollop of chocolate fudge on top, will delight the senses! Some of our chocolate specialities are, Chocolate Meringue cookies, which are filled with slow roasted almonds and hazelnuts. 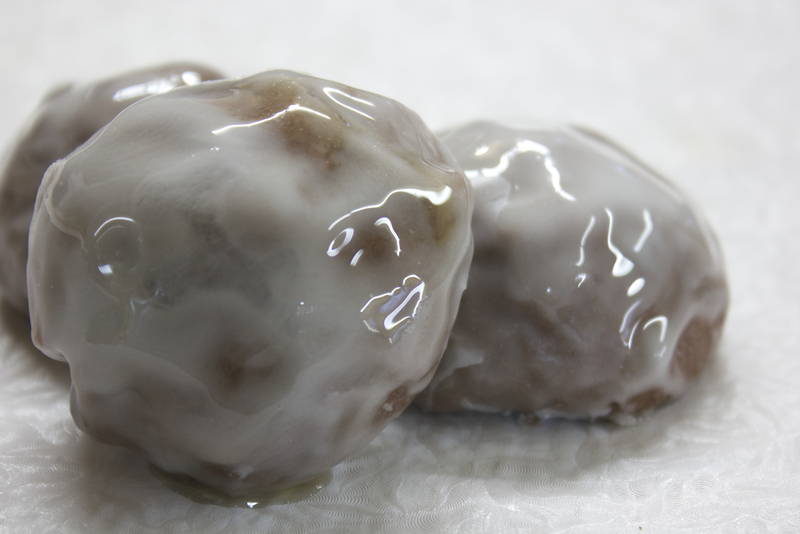 Toto (pictured above, left) is a chocolate espresso cookie filled with walnuts, raisins and chocolate chips. Other cookies filled with chocolate include chocolate wafer sticks, chocolate covered macaroons, vanilla wafers, pistachio and strawberry leaves, chocolate rum balls, rainbow and so much more! Biting into a Motta's cookie is truly a unique experience. The texture, flavor and aroma demonstrate the years of experience in every bite. You will find that we have cookies for every taste. Our cookies are packaged to your preference, weather it be 1 cookie or ten pounds of cookies. Our trays are made custom to cater to your size and specifications and topped with your favorite colored bow.&nbsp;Don't forget to order them Online! Taste the difference!